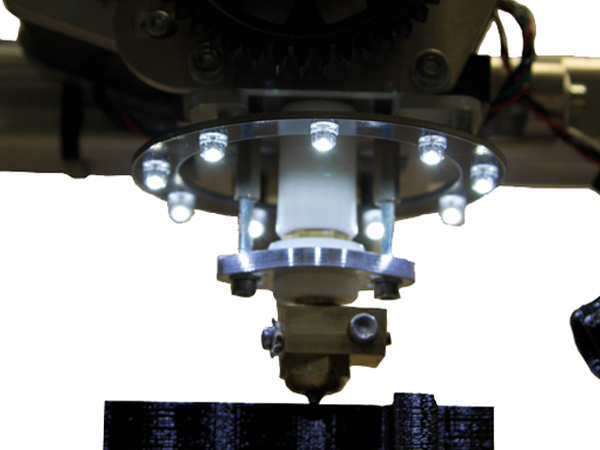 Create your own graphic animations on a badge. 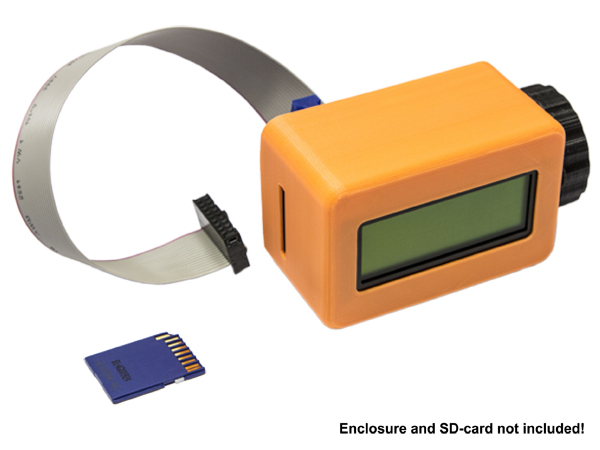 Draw the animation using the supplied software and send the animations to the badge (using RS232). 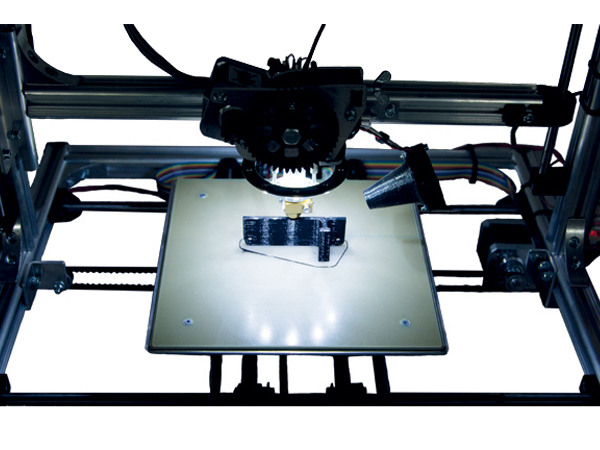 Open source ATMega-based board for 3D printers, soft material CNC routers, engravers, etc. 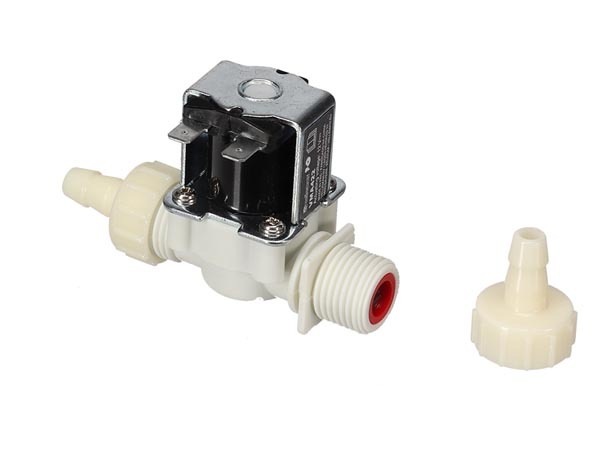 Universal, high quality and easy to use. 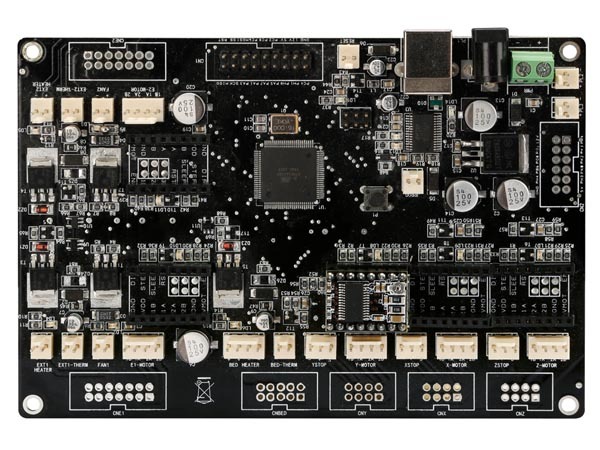 Use the mainboard with the DRV8825 stepper driver board VM8400DB (not included). 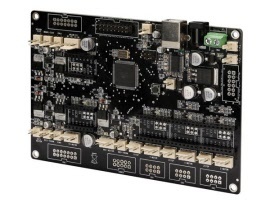 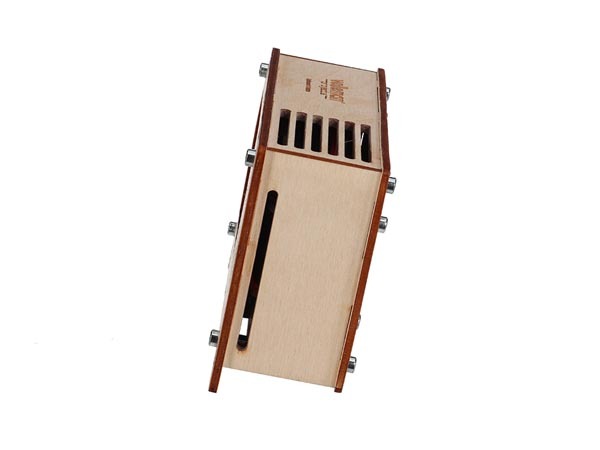 Features: Outputs to drive 5 Stepper motors, 2 Heaters, Heated Bed & 2 Fans. 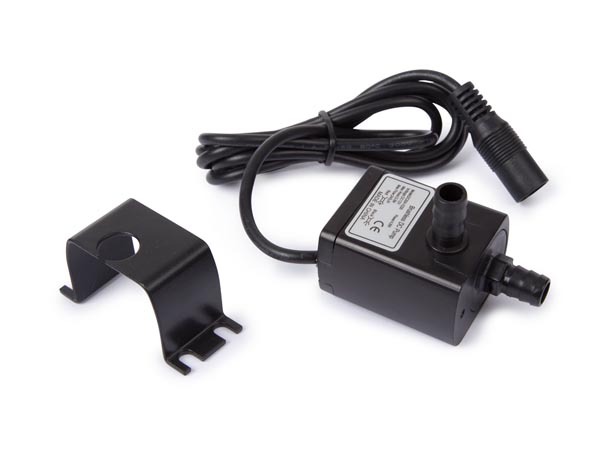 Inputs for Stepper motor end stops & heater sensors. 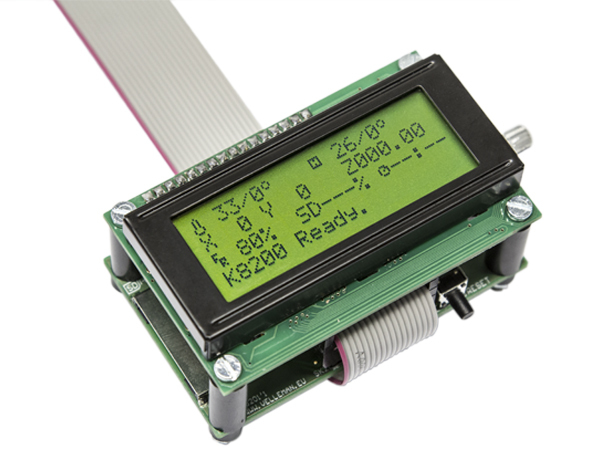 Includes I/O Interface for LCD, SD Card etc. 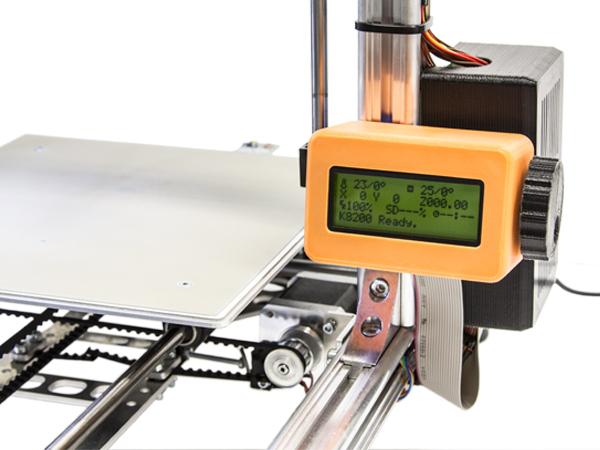 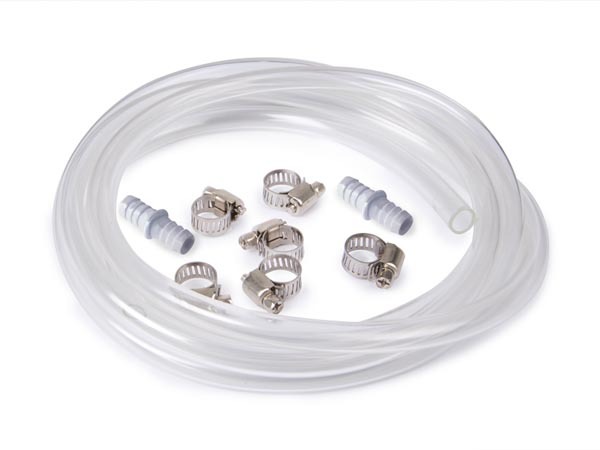 Suitable a spare for the Velleman Vertex K8400 3D printer kit. 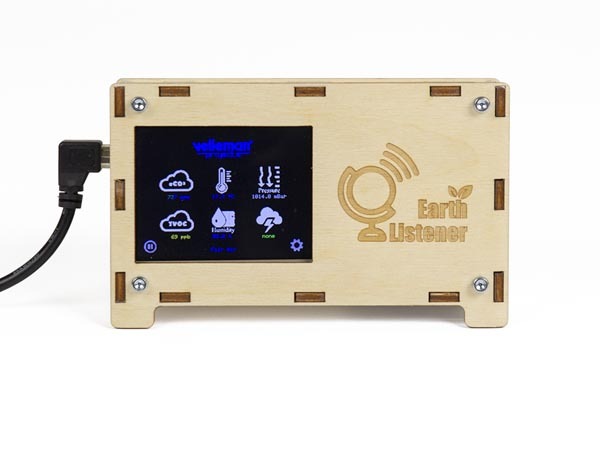 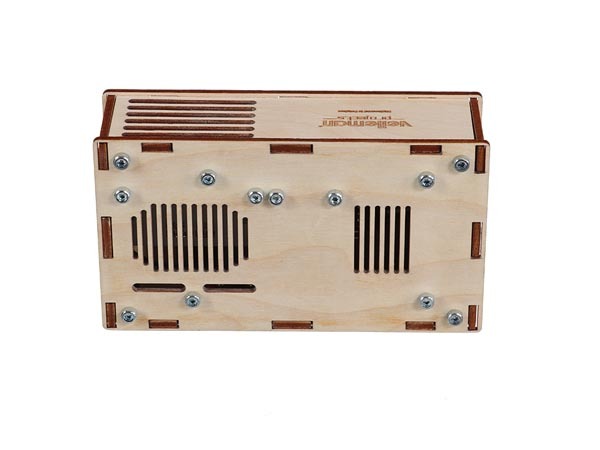 The Earth Listener is an Arduino based sensor device that reads multiple environmental values to indicate the air quality. 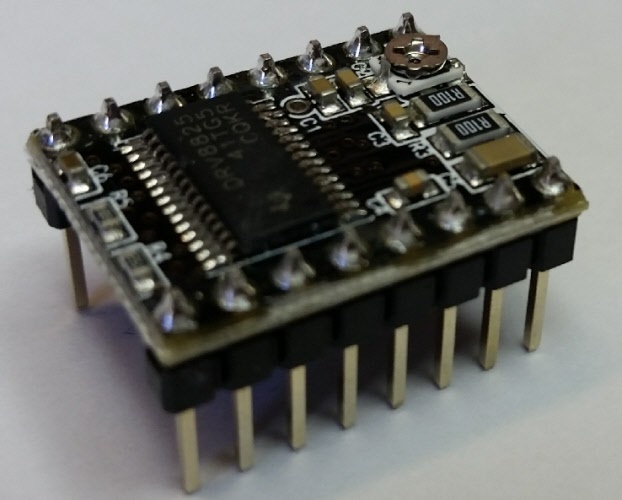 This kit is assembled in 15 minutes and you don't need a soldering iron! 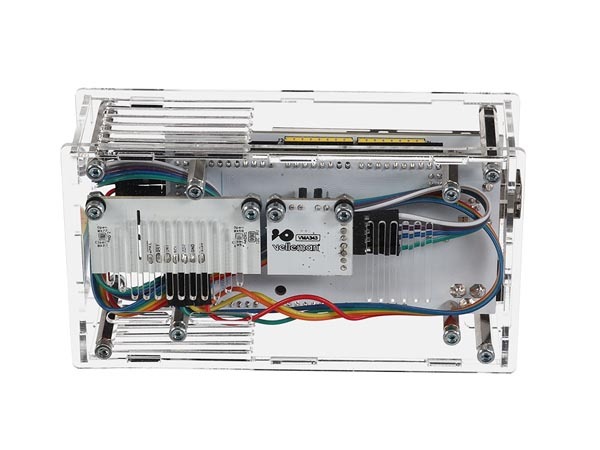 Just connect the parts and wires, put everything in the case and connect it to a 5V USB socket. 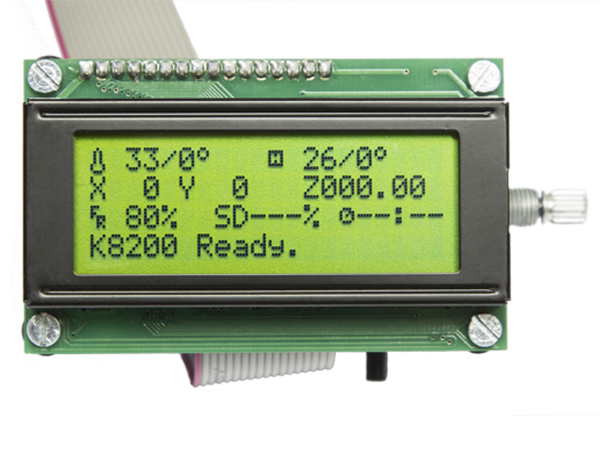 The Mega development board is pre-programmed and shows eCO², TVOC (particles in the air), barometric pressure, temperature and humidity values onto the TFT touchscreen. 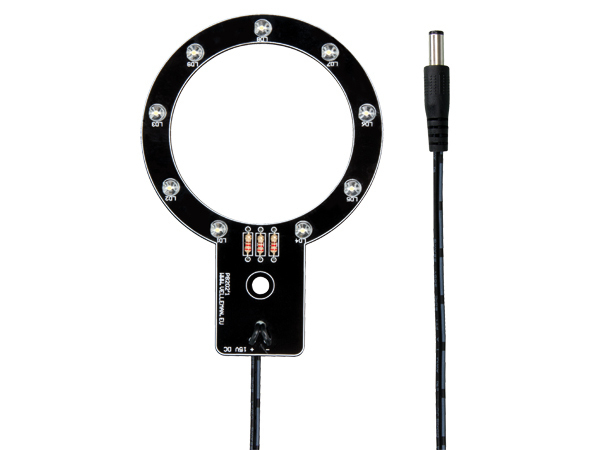 To top thing off, the Earth Listener also contains a lightning detection sensor. 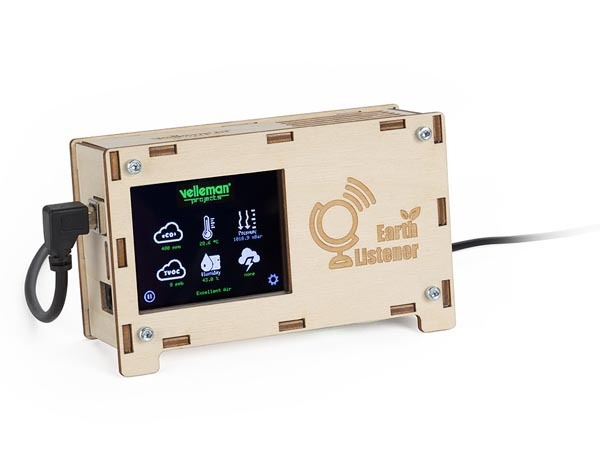 If lightning (or electronic discharge) is detected, the Earth Listener will give an alarm tone and log how far the lightning is located. 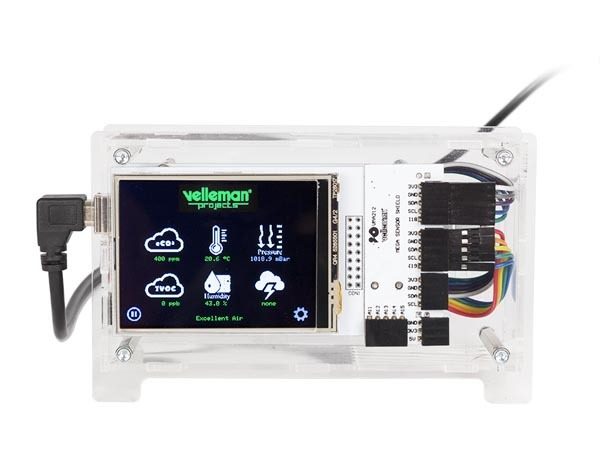 Since everything is open source, you can add an additional 6 sensors to the Earth Listener via the sensor shield. 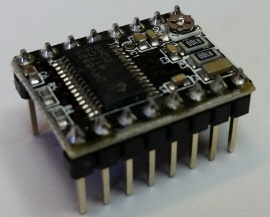 Logging is possible via the micro SD card (not included).